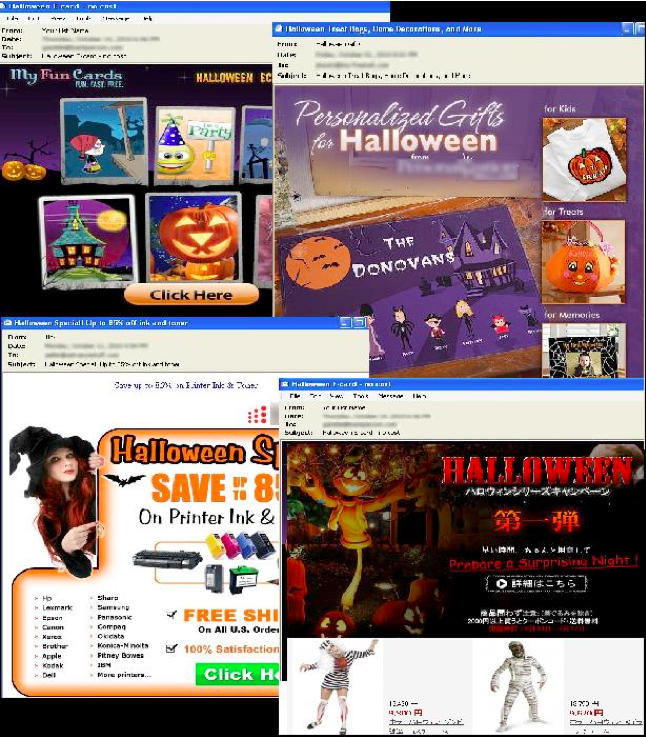 Halloween is drawing near, so the spammers are busy laying out bait in the form of Halloween jackpots, sweepstakes, gift cards, e-cards, personalized gifts, online contests, and even print products and costumes. Perhaps this is one of those seasons during which people—both young and old—celebrate with full gusto. Unfortunately, this type of popular event brings with it a whole host of malicious circumstances on the Internet that people are being enticed to fall for. For it is common knowledge that where people show some vulnerability, spammers are not far behind! 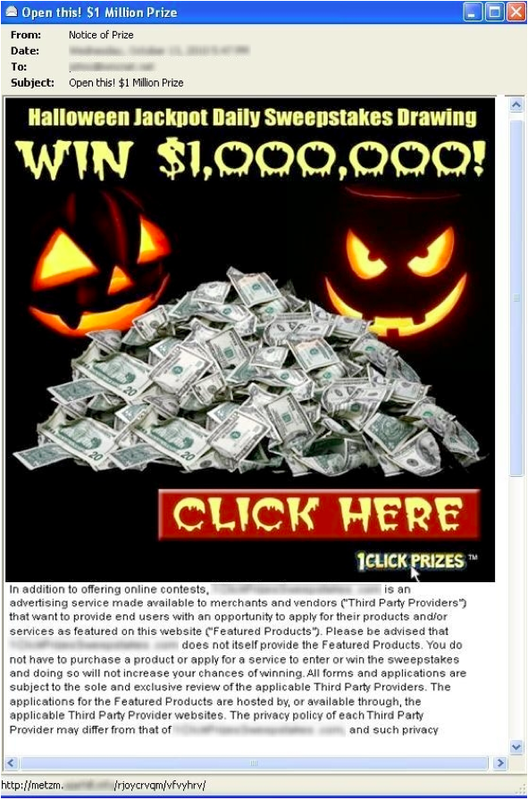 Subject: Win millions this Halloween!!! 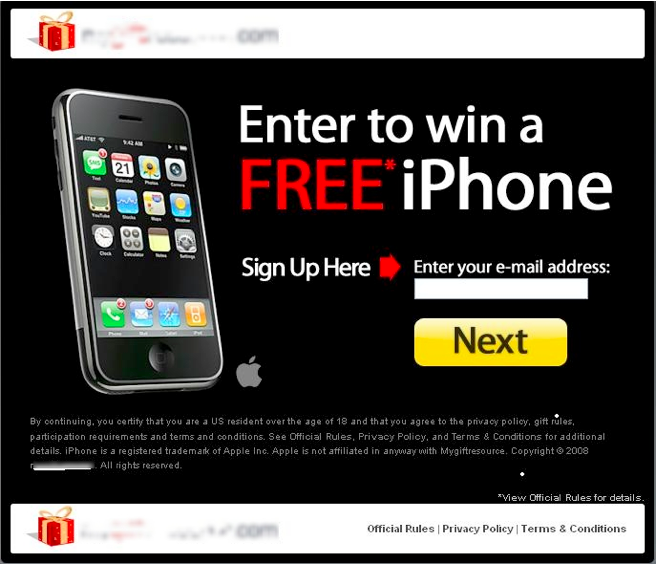 Woe to the person who is lured into giving up their email address, for they will be swamped by loads of spam! Don’t let Halloween haunt you for the rest of the year. Play safe, because there is no Santa on the Web distributing freebies! Symantec advises users to update their anti-spam signatures regularly to avoid having their personal information compromised. Samir Patil is a researcher and blogger with software and Internet security firm Symantec Corp. Thanks also to Christopher Mendes for his contributions to this blog.